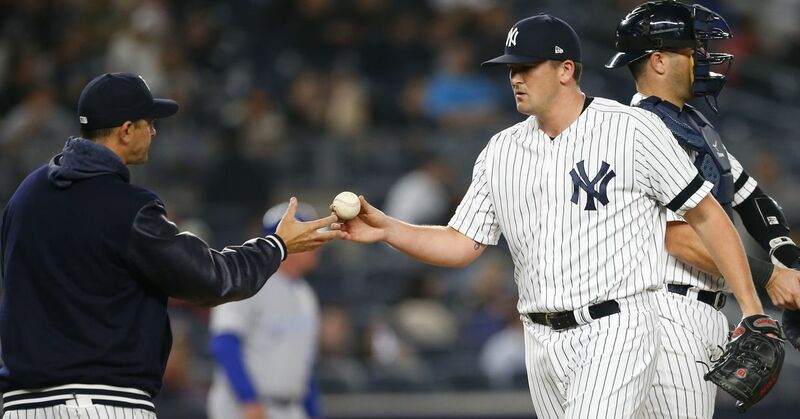 Wally Pipp is baseball’s answer to Rodney Dangerfield. And nearly 100 years past his prime, he’s still getting no respect. The mention of Wally Pipp conjures visions of laziness and fake headaches and calling in sick. As in, that guy “Pipped” out, he’s not coming to work. Or he’s pulling a “Wally,” translated loosely to mean he’s a coach potato, slacking off again. A sloth. Pipp is the guy that lost his job to Lou Gehrig, who just happens to the greatest first baseman in baseball history. But Pipp was hardly a slouch on the field. And he was rarely off the field, missing just a handful of games over the previous four seasons before Gehrig took his job in 1925. In fact, Wally Pipp anchored Yankee pennant winners in 1921, 1922 and the championship 1923 team, which were the Yanks first. He was coming off a career year in 1924 when he hit .295 with nine home runs, 114 RBI and an American League-leading 19 triples. At the close of play on June 2, 1925, the Yankees found themselves in seventh place in the eight-team American League, 13-and-a-half games behind the first place Philadelphia Athletics. As the story goes, that day Pipp told Yankee Manager Miller Huggins that he had a headache, and Huggins replaced him with Gehrig in the Yankee lineup. Lou Gehrig, who had pinch hit for Yankee shortstop Pee Wee Wanninger the previous day to start his famous consecutive games streak, didn’t sit down for nearly 15 years, 2,130 games later. Pipp’s recollection of that day is somewhat hazy. Decades later, in a 1953 interview, he recounted that he did have a headache—because he had been beaned in batting practice. That’s not exactly how it went down. In fact, Pipp was a pinch-hitter the very next day, June 3, after his supposed beaning. Although Pipp never started another game at first base for the Yankees, Gehrig didn’t exactly tear the league apart in 1925, and Huggins had pinch hit for a few times because the Yankees’ manager was disappointed in Gehrig’s performance against left-handers. Pipp’s beaning took place exactly a month later—on July 2. According to various accounts he suffered a fractured skull or a concussion—certainly more than a headache. He played sparingly the rest of the season and was shipped to Cincinnati at the end of it. The Yankees originally picked up Pipp on waivers from Detroit in 1915. For nearly 10 years Wally Pipp was a fixture in the Yankee lineup. When Pipp sprained an ankle in 1923, Gehrig, was called up for a few games. Columbia Lou hit .423 with his first homer and nine RBI in limited duty. In 1924 he hit .500 in 12 at bats and knocked in five runs. In 1925, Gehrig hit 20 homers, drove in 68 runs and batted .295, a harbinger of much bigger and better things to come. Pipp had a solid career and was one of the best first basemen of his era. He led the American League in home runs with 12 in 1916 and nine in 1917. He hit .281 for this career, with 90 HRs, 997 RBI and 1,941 hits. Hardly a dead beat. Wally Pipp may have lost his job, but he lost it to the guy who ultimately became the greatest first baseman in baseball history.